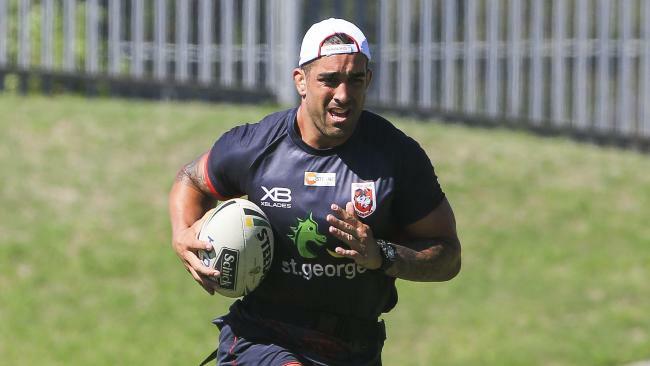 PAUL Vaughan has been shadowing new St George Illawarra teammate James Graham around since the former Bulldog started pre-season at his new club this year. The duo could potentially form the most potent front-row pairing this season. In Graham you have the pasty and passionate Englishman while Vaughan is a hulking tattooed Italian but together they could form a damaging one-two punch for the Dragons. 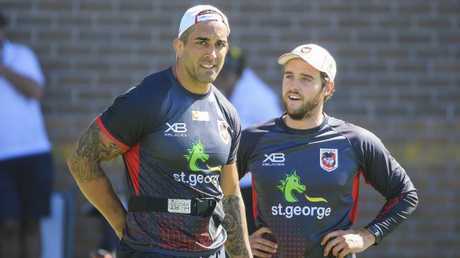 Vaughan is struggling to understand when his new teammate speaks but there is no confusing Graham's application to training. "Everything he does is 100 per cent," Vaughan said. "Just little things like if we are doing ballwork and the ball goes dead he is sprinting to the 20 metre line to get ready for the next set. It's something you don't see that often. "I'm eager to learn off him and build my game. We will complement each other pretty well. He will get our sets off to a good start. "We will be bouncing off each other. It'll be really good for both of us and for the team. "He has a wealth of talent and experience. I'm sitting back and picking his brain a little bit. He is someone I want to learn off and improve my game." 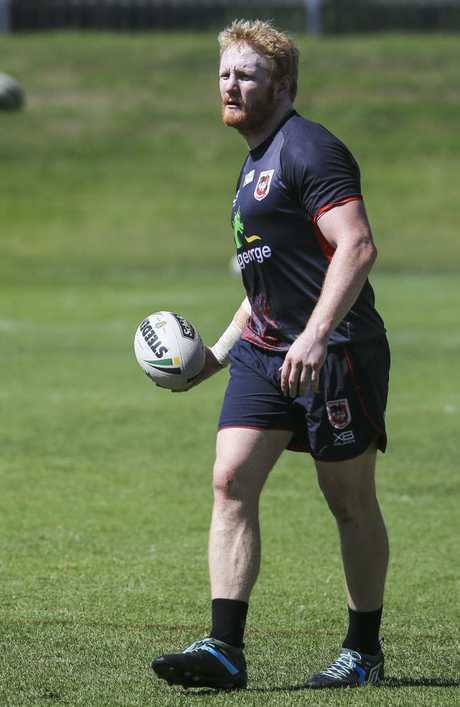 Vaughan had a break through first season at the Dragons last year. In his own words he produced his best year in the top grade after joining St George Illawarra following four years at the Raiders. Having passed 100 first grade games, Vaughan said Graham's influence can help take his game to a new level as he eyes a debut Blues jersey. "That's what I was looking forward to when I first heard he was going to sign with the club," Vaughan said of Graham. "I'm always looking to improve my game, always doing extras and trying to better the weaknesses in my game. "I look how he trains. He trains a million miles an hour. If I can implement that in my game I think I can go to the next level. "I won't be happy until I (play for NSW). If I'm playing the best football I can then I think I'm up to it and ready to do it. "Last year was the best year I've had in my career. Each year I'm trying to get better. I don't want to plateau after that year. I I've played over 100 games now so I've got to pull my finger out and go to the next level."